Today, Nokia is one of the world leaders in technology, allowing people to connect with each other and objects. In France, their Paris-Saclay and Lannion sites play a leading role in creating and bringing the Group’s new innovations to the market, in terms of 5G, cyber-security and the Internet of things. Safran is an international technology group, experimenting at the highest levels with aeronautics, space and defense. Safran, whether alone or in partnership, is at the forefront of global and European markets. To respond to market developments, the Group is involved in research and development projects that amounted to 1.7 billion euros of spending in 2016. The SII Group, a digital transformation technology partner, supports its clients with their digital strategies by developing solutions of significant added value. SII provides its expertise as an international group to rise to the challenges of technological innovation. The Groups operations are organized around two main focuses: technological advice and systems integration. It provides various types of support, including advice and research – development and infrastructure engineering – tests, roll-out and maintenance. A new school from the French Ministry of Industry and Digital, IMT Atlantique is the first Mines-Télécom school from the IMT group, born out of the merger between the Ecole Supérieure des Mines de Nantes and Télécom Bretagne. It’s a school that brings together digital, energy and the environment. 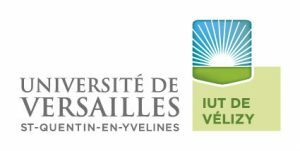 A highly-recommended engineering school, INSA Lyon is underpinned by humanist values that have been the foundation of their model for over 50 years. Science teaching makes up the natural foundation of their 5-year engineering program, and since the creation of INSA Lyon, the ‘humanities’ have been placed at the heart of training engineers who are open to the new world. ISEP trains the engineers of today and tomorrow, in the key digital domains: IT and cybersecurity – electronics and robotics – telecommunications and the Internet of things (IoT) and imagery. ISEP’s teaching program is centered around high-level scientific and technical training, which provides a significant amount of personal teaching, indispensable for future leaders. The Insitut Universitaire de Technologie (IUT) in Vélizy is part of the Université Versailles-Saint-Quentin-en-Yvelines. They offer 7 degrees (technology college degrees) and 11 professional qualifications in industrial and tertiary technologies (industry, business, services), available as foundation training, on placements (apprenticeships) or as continuing education. Mulhouse Rehabilitation Center is a place of therapy, care and professional training that takes care of people with disabilities. Its goal is to support people to live independently, whether in their daily lives, professionally or emotionally. A school of business and management built on solid historic foundations, respected for their links with prestigious schools, they are recognized for their academic network and for the strength of their relationship with the business world. They boast a powerful alumni network. The Néoma Business School works to educate and support the managers and entrepreneurs of tomorrow. Under the French law of 1901 and under the patronage of the French Ministry of Education, CIDJ was created so that every young person has equal access to information needed for their development. CEREMH is a national center for resources and innovation, which works to promote mobility for everyone, regardless of their stage in life. Its goals are to provide a service to people, building expertise and sharing, innovating, structuring and developing the economic sector, as well as creating networks. FEDEEH’s goal is to help young people with disabilities into the workplace by optimizing their study pathways through long-term student commitments. It works to bring together, support and leverage student initiatives in favor of equal opportunities, social engagement and learning pathways, helping young people with disabilities enter the workforce. Staunch defender of solidarity, the Starting-Block association was created in 1998 by a small group of students and councilors, mainly for internships. An association of young, engaged adults, the goal is to build a fairer, more inclusive and unified world. With this in mind, the association leads educational events for citizenship and solidarity, for young people, by young people. Talentéo, all accessible talent: an innovation 2.0 in the field of recruitment, disability and diversity. It’s our vocation and part of our DNA to facilitate meetings between companies and professionals with disabilities. Our slogan: ‘all accessible talent’.